With more than 30 years of experience, Dr Li can make Acupuncture and Chinese Medicine work for you. People who follow traditional Chinese medicine believe our body contains an invisible live energy force called “Qi”. When your energy is full and well you feel healthy. When something blocks the flow, like backpain, you feel ill. Professor Li has been a doctor for 30 years and has treated thousands of patients. Before coming to the UK, she was the Chief Physician and Department Director in the Traditional Chinese Medicine Department of Tianjin Hospital in China. She specialises in treating diabetes, heart cerebrovascular diseases, rheumatoid arthritis, apoplexy, arthromyodynia, hay fever, depression, infertility, and other difficult diseases. She also lectures at Middlesex University, teaching Traditional Chinese Medicine, and is appointed as personal Doctor to the Chinese Ambassador of the UK. 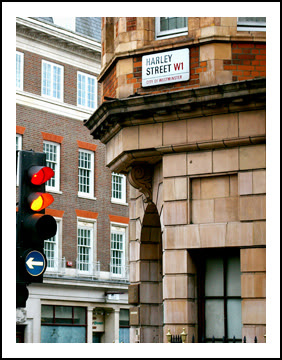 In London, she runs Dr Li Clinic in Harley Street and practise traditional Chinese medicine and acupuncture. Patients can book appointments via email or telephone. Many patients have greatly benefited from her professional treatment and caring methods.